I love it when artists imitate nature. 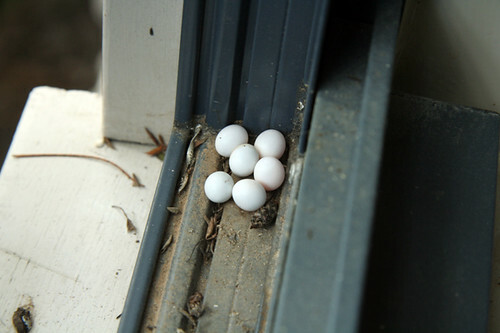 I was doing some house cleaning not so long ago, and spotted this nest of eggs in the window. I think they belong to geckos but I’m not 100%. I love how these are almost perfect egg shapes and they reminded me of my white beaded necklace. 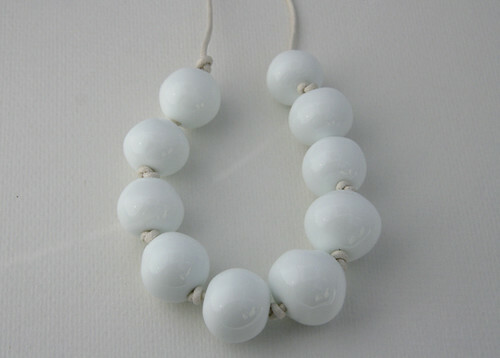 The garden lizard eggs I used to find as a child were always a bit wonky shaped, so I’ll say my beads are lizard eggs! Avril Bowie is a maker and a designer of glass jewellery. Avril crafts each bead by hand, one by one over a flame, and strings the glossy beads into gorgeous accessories. All pieces are unique, made for a long life and in small, limited runs.